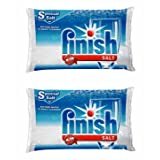 *Recommended by more dishwasher brands in North America vs. any other automatic dishwashing detergent brand. Recommendations as part of co-marketing agreements. 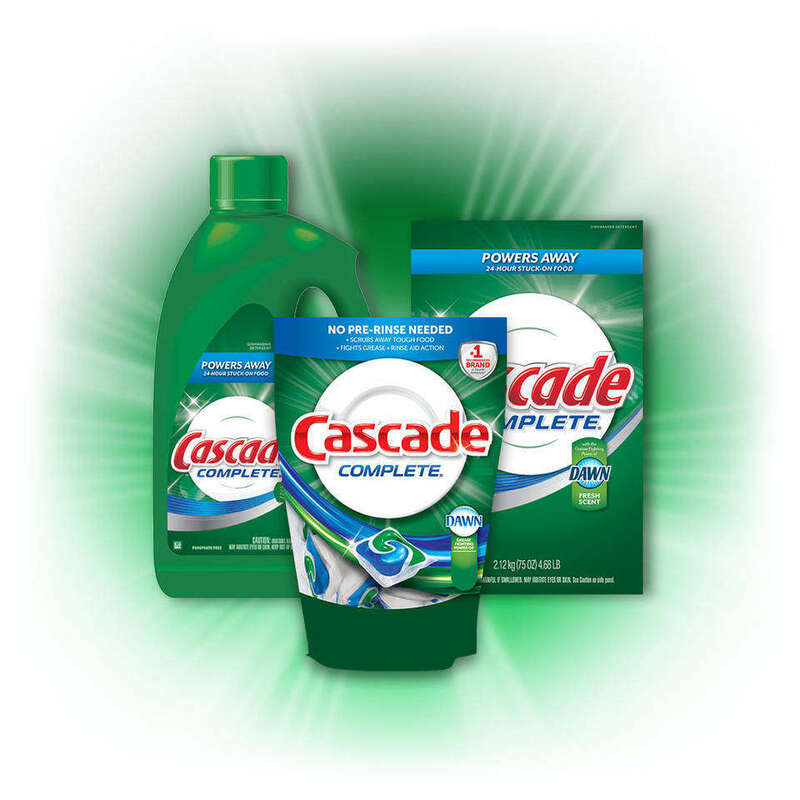 For a more convenient clean, try Cascade ActionPacs, Cascade Complete ActionPacs, and Cascade Platinum Pacs. No pre-wash needed, powers away stuck-on food. 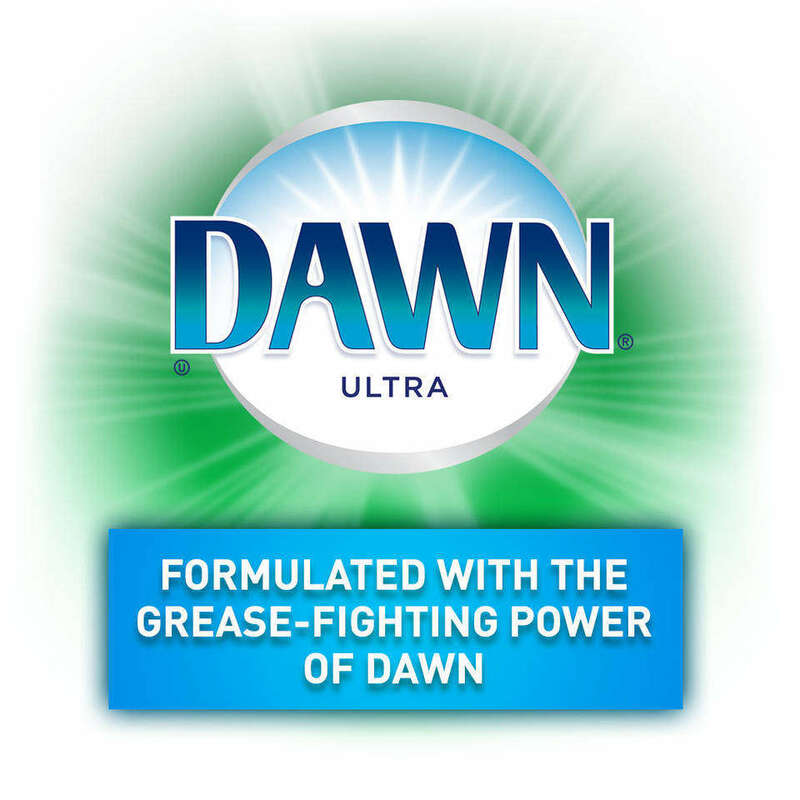 Formulated with the grease-fighting power of Dawn. 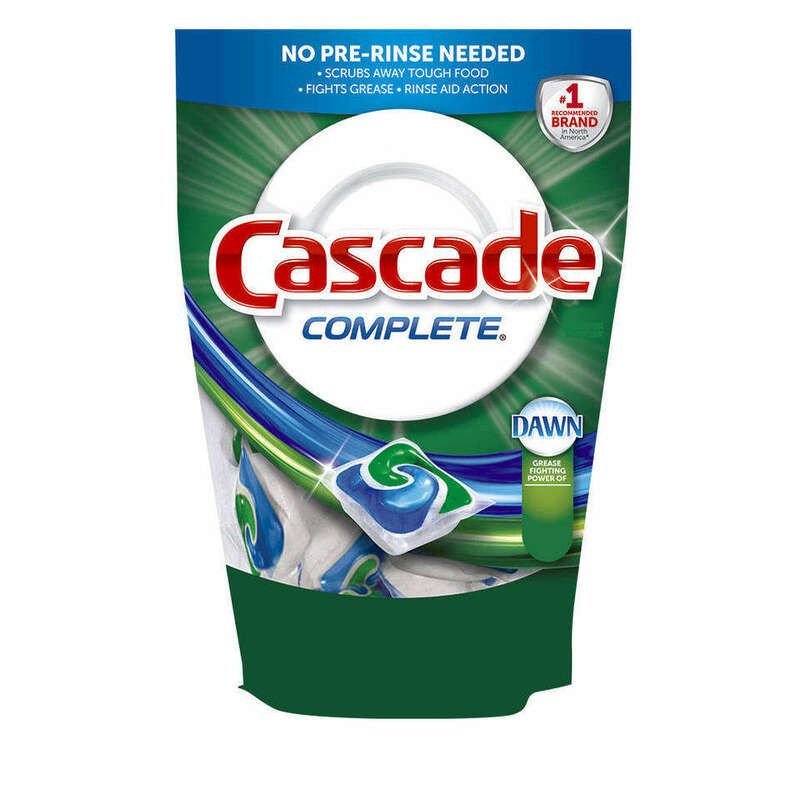 Cascade Complete is also available in Gel and convenient ActionPacs. 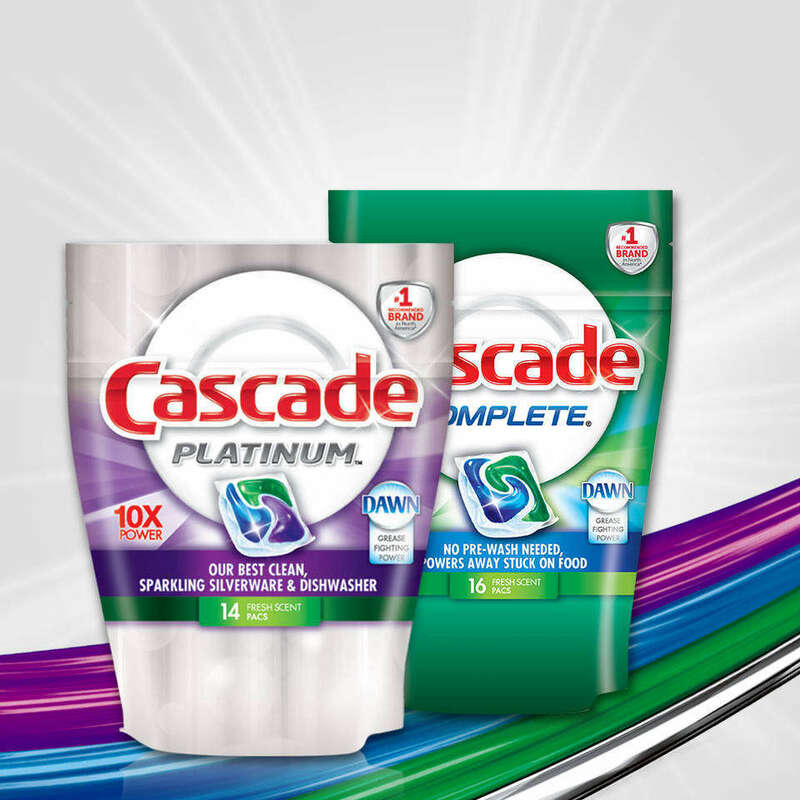 For a virtually flawless clean, try this Cascade dish routine. 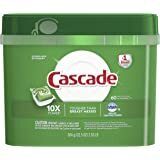 First, wash dishes with Cascade Powder for a sparkling clean. 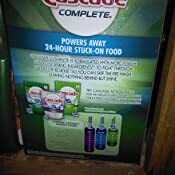 Then, to prevent spotting and filming on dishes, use Cascade Rinse Aid. 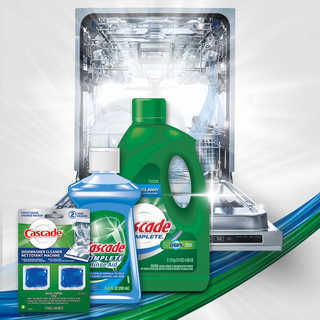 And to help clean limescale, grease, and odors from your dishwasher, try Cascade Dishwasher Cleaner. 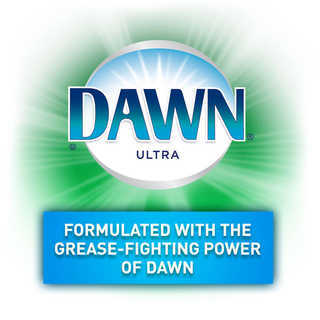 Features: No pre-wash needed, powers away stuck-on food. 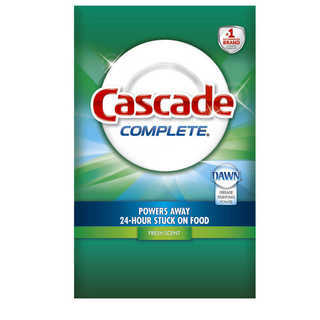 Powers away greasy residue for sparkling dishes. 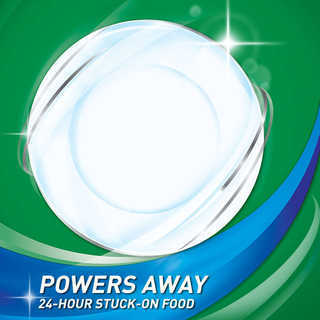 No pre-wash needed, powers away stuck-on food. 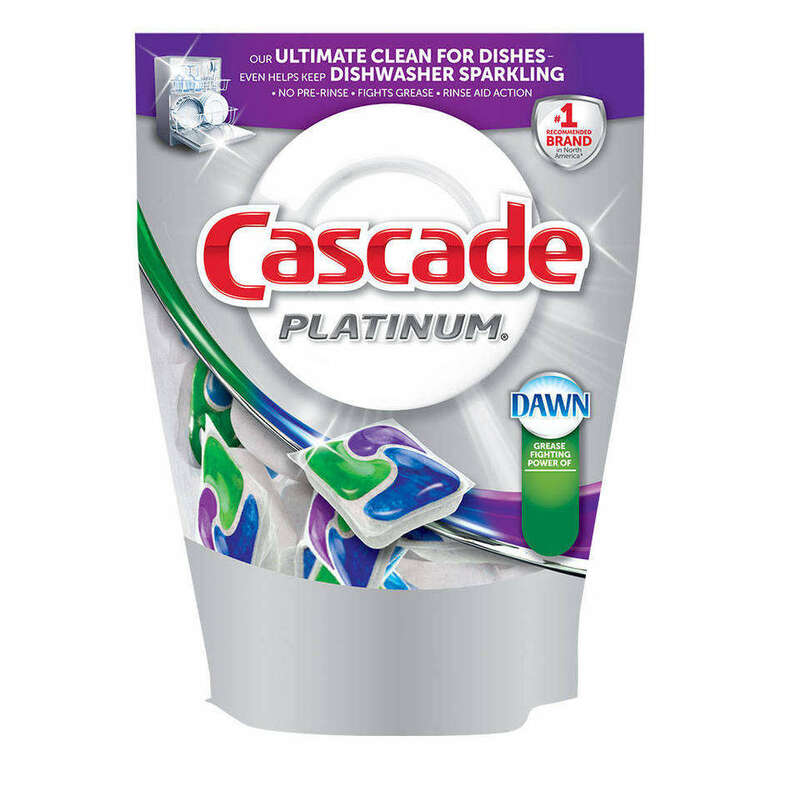 Our best clean for sparkling silverware and machine. What temperature should my water be? 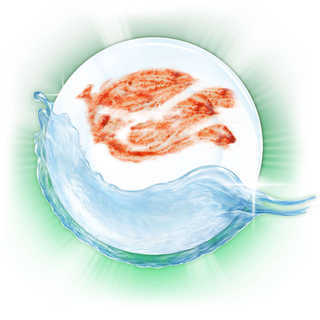 You can wash your dishes in hot or cold water, since our products are formulated to perform in any water temperature. Try helping to save energy by washing in cold water. 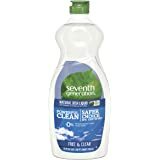 You’ll find you get a great clean, with less energy used. If you prefer to hand-wash using hot water, try Dawn Hand Renewal with Olay Beauty. What should I do if I have hard water? All of our dish products are designed to work effectively in all kinds of water hardness. 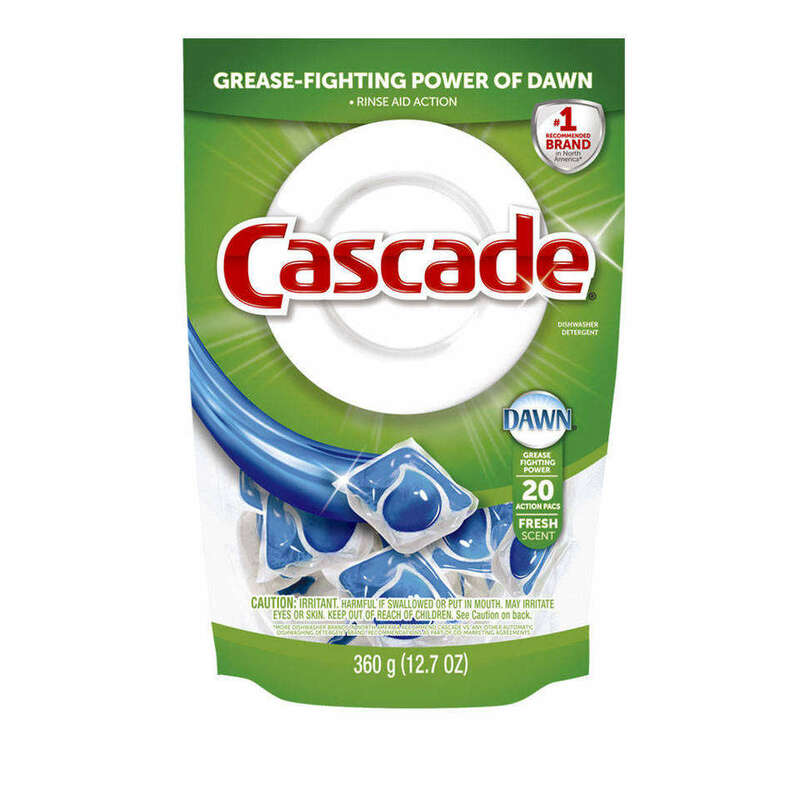 Our dishwasher pacs, like Cascade All-in-1 Pacs, are formulated with water softeners to help fight hard-water deposits on your dishes and - as always - are the perfect dose. Is there a correct way to load the dishwasher? When you’re loading your dishwasher, it helps to put dishes in the best position for cleaning. Load all dirty dishes so they’re separated and facing the center, and always put plastic items on the top rack of the dishwasher. You can begin by placing large platters, cookie sheets, baking dishes, and pans around the perimeter of the bottom drawer. Next, add your plates. Stagger large dinner plates and smaller salad plates to give each dish more exposure. 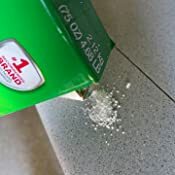 Set large and medium-size bowls in the remaining space in a slanted or completely downward position for optimal cleaning. Place dirty silverware in the cutlery container. To organize the top drawer, line downward-facing glasses and mugs along the outer edges. Add bowls and extra-small saucers to the center section, placing each on a slant to create extra space. As a rule, the bottom drawer of your dishwasher is exposed to more heat than the top, so place plastic items on the higher drawer to avoid melting and warping. Gently nest stemware along the left-hand side - many dishwashers feature a protective holder for these items. Be sure to check the height of your stemware before closing the drawer to avoid broken glass! In the small pockets of space between your top-drawer dishes, lay long, slender items like tongs and spatulas. Last, be sure no items block the sprayer arms, which can prevent water from reaching all of your dishes. 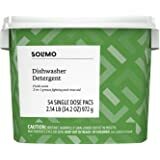 How do I ensure my dishes dry properly in the dishwasher? Use a rinse aid, which is designed to ensure dishes dry properly in your dishwasher. 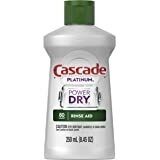 Cascade Rinse Aid is specifically formulated to give you outstanding spot and film protection along with amazing shine. Our rinse aid helps to rinse away food particles and residues that can cause spots on dishes. Load the dishwasher so that all items are properly tilted for good drainage. Avoid nesting of dishes and silverware by staggering shapes and sizes and placing utensil handles both upward and downward. If available, use the "heat dry" option. 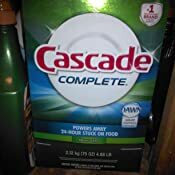 5.0 out of 5 starsI'm a cascade girl ~ powder only please! 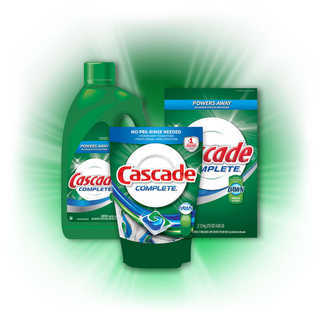 I love Cascade and I always forget the rinse aid at the store. This is a no brainer. 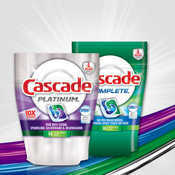 Buy this AND the cascade rinse aid online. 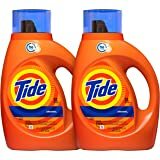 I typically run the dishwasher once a day ... we are coming up on two months and I've prob got at least another 2 months left. Will buy again. 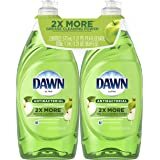 This with rinse aid makes my dishes clean and fog free! Love it! I'm a huge fan of powder. If your machine doesn't heat up enough sometimes the packets won't melt. We live in a old rental but with a new washer. 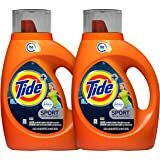 I'm the same with laundry - powder or liquid - no pods. Sometimes the basics work best. I can get it in the store a little cheaper but like it delivered due to physical limitations. So, half a star off for my complaints. 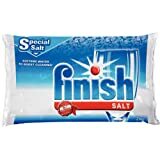 I prefer powder to liquid or pacs or gel; this is usually the best price per ounce and gets the job done. Not too strong a fragrance. 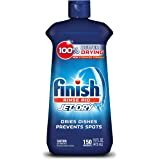 Dishes are clean w/o feeling slimy: I don't use as much as is recommended and the box lasts a long time. It is heavy so I put smaller amounts in a quart pitcher. 5.0 out of 5 starsCloudy glasses? 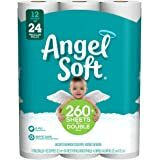 This could help. 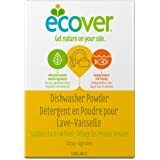 This product seems to do a better job getting my dishes and pans clean. 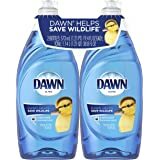 I quit using the pods that have detergent and softener together after a repair man told me my cloudy glasses were from using the pods. 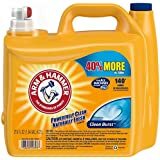 I have to cut back on the detergent and I keep a gallon of vinegar under my sink and splash some of that in the machine from time-to-time. Use for washing machine for whites. 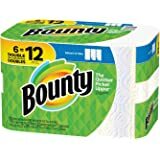 Helps take yellow out of whites. 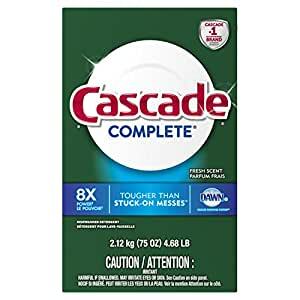 I just sprinkle some over socks every time I wash them. Helps brighten whites. Good for whites been hanging in closet a long time and has yellowed. We have hard water and our dishes come out with a film when using this. 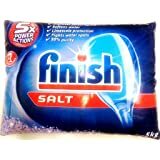 We ended up purchasing Lime Shine to use in tandem with the detergent and the problem fixed itself. My husband is the dish wrangler in these parts. 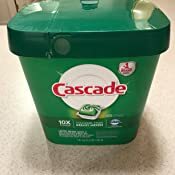 We tried a generic brand and it just didn't jive with our dishwasher. 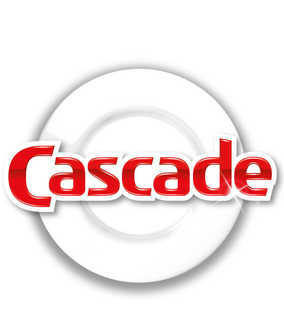 The manufacturer of our dishwasher recommends cascade, so I purchased it. It works so much better. Worth the extra dollar and it last a lot longer. 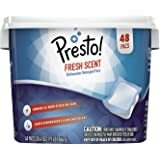 Disgusting strong soap taste left on all dishes & especially gets into silicone utensils. 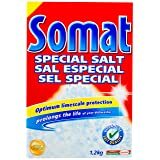 Gross perfumey residue gets into food I cook & makes it taste like nothing but soap, even with heavy wash cycle & rinse aid. 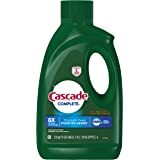 Went back to natural dish soap immediately & using the cascade I have left to clean the toilet when i run out of comet.